This book locates essential aspects of the material, mental, and spiritual world of western Himalayan peasant society. In this large and difficult region, human enterprise and mountainous terrain long existed in a precarious balance. Natural adversity occasionally disrupted this balance. Small peasant communities lived here in scattered environmental niches and tenaciously extracted from their harsh surroundings a rudimentary but sustainable livelihood. Family organisation, social custom, and religious practices were adapted to their purposes. The communities were integral constituents of larger political institutions, the state being one such. This laboriously created life-world was enlivened by myth, folklore, legend, and religious tradition. When colonial rule was established in the region during the eighteenth century, it transformed the peasant’s relationship with his natural surroundings. Old political allegiances were weakened. Yet, resilient customary hierarchies retained their influence through religio-cultural practices. 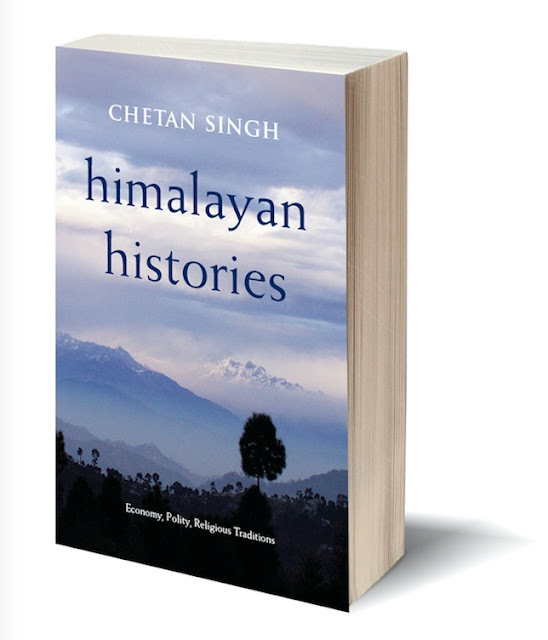 These are some of the many themes of Himalayan history offered in this book. Indian historians have mainly studied riverine belts and life in the plains. Sophisticated mountain histories are relatively rare. This book, by one of India’s most reputed historians of the Himalaya, is essential for a more complete understanding of Indian history. Chetan Singh, former Professor of History at Himachal Pradesh University, Shimla, has been researching and writing on the history and culture of the western Himalaya for more than two decades. He was Director, Indian Institute of Advanced Study, Shimla, from 2013 to 2016. His publications include Natural Premises: Ecology and Peasant Life in the Western Himalaya, 1800–1950 (1998), and Region and Empire: Panjab in the Seventeenth Century (1991). The Dum: Community Consciousness, Peasant Resistance or Political Intrigue? Had he been alive, Ravi Dayal would have turned seventy on 6th September 2007. Keeping in mind Mark Antony’s opinion—‘the evil that men do lives after them, the good is oft interr’ed with their bones’—as well as the fact that good books live a long time whereas their publishers are soon forgotten, it seems worthwhile to briefly recall the most significant figure in Indian publishing after Independence. The first thing that struck anyone on meeting Dayal was how articulate he was, and the polish with which he spoke. Dayal’s articulation and polish were aspects of his charisma, and both were central to the attractiveness of his aristocratic personality. When hearing him speak I felt extremely envious, because his mind seemed a reservoir of perfectly formed sentences that he could summon at will. This made his diffidence as a public speaker seem quite odd, but I think the reason he disliked such occasions was that, like the great editors of the old world, he was reluctant to be the focus of attention. An essential element in his worldview, which made him different from many editors in our time now, was that he wanted all the attention to fall on his authors. In Dayal’s world, claiming credit for editorial work was a form of bad manners, an appaling deficiency in publishing civility. The editor was, in his view, a backstage person who made a book well structured and readable, but also someone who took no credit for it, never mind if he had virtually coauthored it. In fact, because he possessed an unmatched level of scholarship, Dayal coauthored and ghost-wrote more books than he edited, and he may well have rewritten more books and authors than any editor in the history of Indian publishing. This was in fact where his heart lay, and he was pretty mulish about it, as he was about many things, such as never being driven to office by a chauffeur. He never allowed his headship of OUP India to get in the way of his editorial work. In this sense, as someone who did not revel in the power of the top job but in the power of his pen, he was completely singular. Some months back I met the head of the University of California Press, a woman called Lynne Withey who, like Ravi Dayal, was earlier the history editor of her press. I asked her if she still edited books, and she said of course she didn’t, she had too much else on her plate heading the Berkeley press. It struck me even more clearly then how different Ravi Dayal had been. 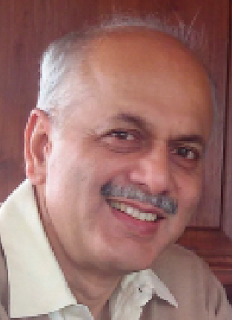 Over all the years that he was OUP India’s CEO, he never stopped being its chief editor. He delegated finance and admin to the extent possible, managing a 300-people company while also blue pencilling his way through each script he’d taken on. He refused an airconditioner in his room because it would have made the organization inegalitarian in a way he considered unacceptable. This was the sort of Gandhian trait that earned him huge respect, and which made his organization congenial and unhierarchical. It created a sort of ‘Dayal Bagh’ in which everyone grumbled about low salaries but where everyone stuck it out because the bidi-smoking boss at least looked like he was in the same boat as the bidi-smoking chaprasis. No one cultivated unglamorous socialist fellow feeling with as much perverseness as Dayal. Most people who worked with him secretly hoped he would one day see the light of capitalist hedonism. But he never did. Various other virtues place Ravi Dayal within a publishing ethos that has passed. Editors today specialize. They either acquisition or manage, and the actual editing of scripts is either farmed out or seen as a low-end occupation to be handled by assistant editors. In Ravi Dayal’s conception, these specializations were the product of a corporate ethos, whereas he wanted his publishing house to be in many ways the antithesis of a corporation. 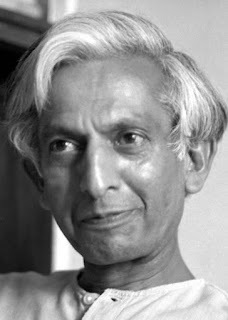 The German sociologist Tönnies’s distinction between a community of craftspeople and an industrial corporation is relevant when remembering Dayal. The crafts community is distinguished by a lack of specialization, by the ability in a worker to turn his hand to every aspect of his trade, and by an ethos of trust rather than contracts. The publishing house that Dayal created was like a gharana, a community of people engaged in a craft that they had to learn every aspect of, most specially copyediting which, in his view, was the most difficult and vital part of any publisher’s job. By giving everyone a long rope and encouraging them to outgrow their specializations, he created a rare sort of commitment among personnel on low salaries. People stayed on in his organization far longer than personnel on very high salaries do today. In this, Dayal’s uncorporate management style was unusual and effective. It showed a fundamental instinct for what attracts people to publishing, what makes them stay there, and what makes a publishing organization tick. 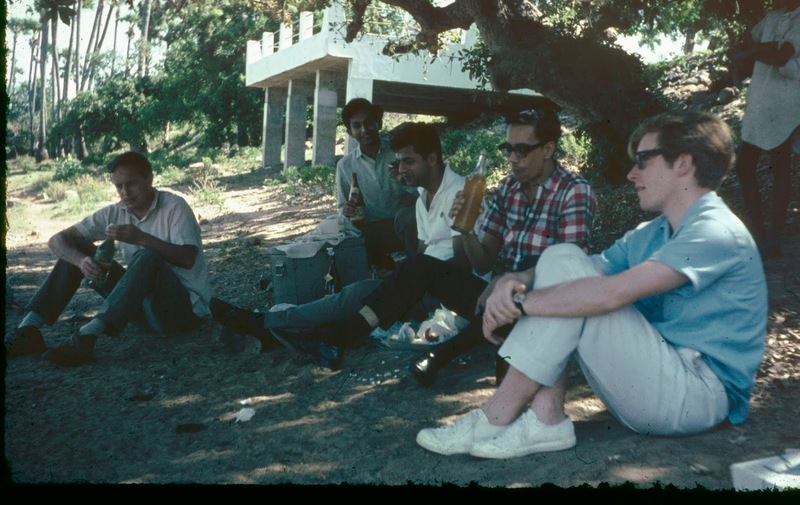 Five employees of OUP India in the 1960s. Ravi Dayal second from left, Girish Karnad third from left. Dayal’s world was a necktie-free zone. I’ve seen a picture of Ravi Dayal in a necktie when he was fresh out of Oxford, but over the years I knew him he was allergic to neckties. It was his way of keeping a distance from his white bosses in the West, as well as a symbol of keeping his own work ethos and personnel free of the restrictions of a corporation. His sartorial preferences, like his fierce nationalism, were anti-modern and Nehruvian. Given the size of Indian publishing, it may seem disproportionate to connect Dayal with Nehru, but the analogy makes sense to people who were a part of publishing in the 1970s and 1980s, when Dayal was the Colossus in that small world. Like Nehru, he was an Oxbridge-trained aristocrat who spoke English with cultivation and polish, and like Nehru he could out-aristocrat any of the Brit white sahibs who in those days thought they were still masters of the universe. If Nehru was the last Englishman to rule India and create a new country by distancing England, Dayal was the last Englishman to rule Indian publishing by wresting a wholly new autonomy and authority for desi publishing. Not wholly perhaps, but in substantial measure, it was Dayal who created Indian academic publishing by local academics in history, sociology, politics, economics, and literature, as well as—in the words of Ashis Nandy—being the man who gave Indian writers and authors, for the first time, a self-respect and confidence in their own abilities that they had never before possessed. In publishing, the greatest privilege and the biggest achievement is to be a listbuilder, to create an enduring list of authors and books that come to be seen as seminal to an area of reading and research. For a publishing list to be respected, it is vital that the list be a discriminating one. The trend today is to publish virtually anything that will sell, and attractive jacket designs alongside media massaging have made all sorts of mediocre stuff look saleable. Succumbing to this form of publishing is argued as being inescapable because it is driven by shareholders clamouring for annual increases in turnover. But in the long run this practice is also responsible for reputed imprints looking diluted. Ravi Dayal’s achievement, in contrast, was to prove that there is an optimum number of books to publish annually, and if you habitually exceed that number your imprint will decline. Dayal managed this difficult balance of healthy annual turnover increases with enhancing—and later maintaining—the OUP’s brand value. I doubt that anyone else could have managed this so skilfully. His strong personality, his authority, his persuasiveness, and his enviable articulation skills added up to a charisma which made everyone, including his Oxford superiors, accept what he was doing even when they disagreed or had reservations. Through all his fifteen or so years as the first Indian head of OUP India, he refused to publish anything less than first-rate, regardless of its saleability. He was incorruptible and could not be pressurized. He joked that he hated the India International Centre because it was a den of rejected authors keen to stab him both back and front. But the result was that he transformed a textbooks-centred imprint that looked run-of-the-mill before he took charge into one that made his press the undisputed leader in South Asian academic publishing. Between the 1960s and 1980s India produced many intellectual pioneers in the arts and social sciences, and Ravi Dayal deserves to be remembered alongside his friends and contemporaries Sálim Ali, R.K. Narayan, Girish Karnad, M.N. Srinivas, S. Gopal, Ashis Nandy, Amartya Sen, Romila Thapar, Ranajit Guha, and Irfan Habib. We have historians of literature and social science who provide us with cultural memory filled with such names. We don’t have historians of publishing, so it is easy to forget Dayal’s intellectual and cultural importance within the same scenario. But if a history of modern Indian publishing were to be written, there would be consensus on the fact that discrimination, adherence to high standards, and longevity of tenure made Ravi Dayal the finest publisher of modern India. Like Bjorn Borg, Dayal took early retirement while right on top in the mid 1980s, giving up a safe income and immense prestige at a young age. Borg went bust, but Dayal went on to pioneer high-class literary fiction publishing. By setting up ‘Ravi Dayal Publisher’ in 1987 he anticipated the arrival of Penguin India, Picador India, Random House. But once these highly capitalized firms had arrived with their heavy marketing artillery to publish fiction and general books in India, it became virtually impossible for a one-man venture such as Dayal’s to remain the dominant force His venture became a delicatessen in the middle of publishing supermarkets: he continued publishing a handful of books annually, usually by authors who valued intelligent feedback and high editorial skills above slick packaging and glamorous marketing. I’ll conclude on a personal note because, certainly in Ravi Dayal’s case, the personal life of likes and dislikes and feelings was inseparable from his professional activities; to understand some of the affections that made him what he was is an oblique route to understanding the kind of publishing ethos he believed in. Dayal didn’t have a dog of his own, but he loved dogs. A man’s response to animals often tells you more about him than his response to people, and Dayal’s response to dogs said a great deal about him. Every time he met my dog Biscoot, he would greet her like a long lost friend, he would call her ‘Bitia’ and make a great fuss over her. Only when her tail had ceased wagging would he bother to greet me. To anyone who has ever had a dog, this makes complete sense. It made me connect with Ravi Dayal the person. His disinterested and genuine affection for dogs suggested something that, deep down, was not in the least different from his feeling for books and authors because it showed he never lost sight of small things—the importance of positioning a comma correctly, the necessity of petting a dog sufficiently. Two other oddly endearing things about him come to mind. The first is that late in life he became addicted to saas-bahu serials. I put this addiction down to the fact that after a lifetime with the sociology of M.N. Srinivas, he was seeking relief in the sociology of Ekta Kapoor. The second was his refusal to drink imported whisky. For some unfathomable reason, he felt it was a betrayal of India to drink what Khushwant Singh has unofficially demonstrated is India’s national drink, Scotch. Ravi Dayal must have been the only man ever to have lived in Sujan Singh Park who only drank Royal Stag himself, while bestowing Black Label upon his guests as a form of punishment, letting them know all the while that they were traitors to the country. I sometimes wondered if Dayal’s antipathy to Scotch was his form of rebelling against his father-in-law, Khushwant Singh. My fondest memory of Ravi Dayal is of a small-built man with a large heart whose affections filled his vast mansion in Ranikhet. Here you could hear him sometimes whistling tunefully, sometimes playing the mouth organ. He could play almost any tune you asked him to, from memory. But he was quite snooty about what he played. Once, my wife, tired of his renderings of ‘Carmen’ and the ‘Tannhäuser Overture’ and other lofty stuff, asked him to play ‘Hey Jude’. At this Ravi Dayal raised an eyebrow and said scornfully, ‘What, that beetle?’, and flatly refused to play the song.